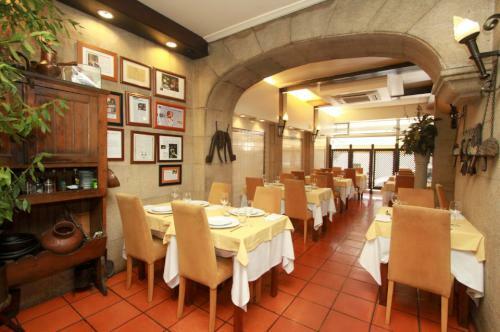 A Taberna Restaurant is an established restaurant located in the heart of Coimbra, in Rua Combatentes da Grande Guerra close to the New Cathedral. 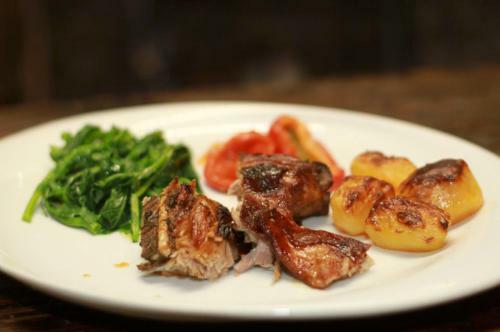 For more than two decades, it has served traditional Portuguese cuisine, cooked by Chef Jose Gil, in a welcoming and homely dining room that is a favourite amongst visitors and locals alike. 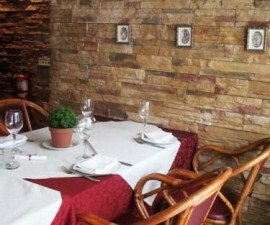 The small dining room is one of the charms of A Taberna Restaurant. 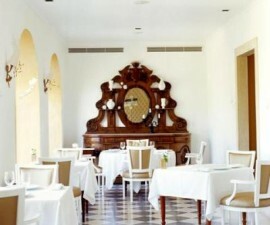 Guests are as likely to be greeted and served by the friendly owner as they are by another member of the waiting staff. And attentive service is the order of the day, as diners are treated to plenty of advice and explanation about the menu, often in pretty passable English if the Portuguese isn’t flowing. Meals are started with a basket of freshly baked hard-crust rye bread accompanied by prosciutto ham, hard local cheese and a bowlful of olives that are salty to perfection. As with most restaurants in Coimbra — and indeed the country — there is a charge for the “couvert”, but it is well worth it for the pleasures of sampling such simple but high-quality produce. The menu is small but intentionally so, focusing on doing what it does as fine as it possibly can. And mostly exceeding expectations. 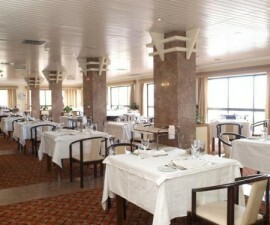 Dishes include roast octopus, roast kid goat, the salt cod, which is so beloved all over Portugal, and pork. 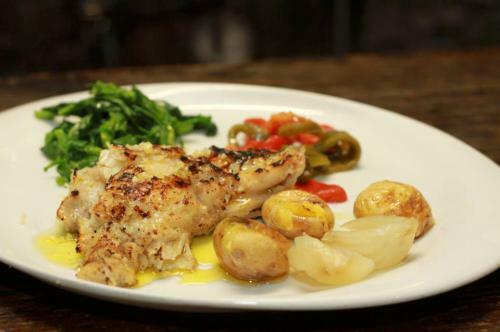 All come accompanied by roasted potatoes, pepper salad and assorted vegetables. The wine list is as small and well chosen as the food menu, with bottles such as Quinta do Crasto showcasing some of Portugal’s tastiest grapes and talented winegrowers. The dining room is tastefully decorated in shades of cream and yellow and makes for a relaxing space in which to let the food and drink do the talking. 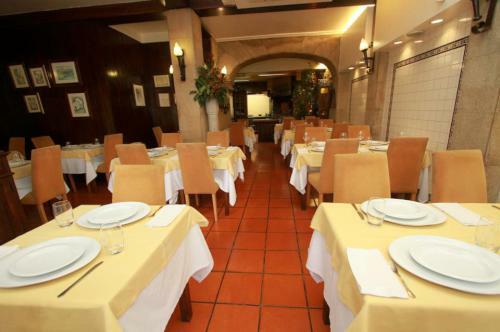 But to call A Taberna Restaurant an actual tavern is an understatement — it is much more sophisticated than that, without losing its laid-back charm. Seating capacity is limited in the dining room and this is a popular haunt for locals and visitors, so booking is recommended, especially in the high season months. 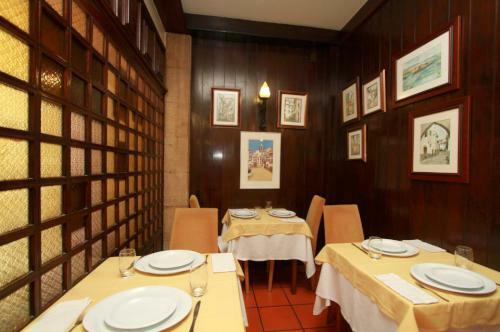 Depending on where you are based during your stay in Coimbra, Portugal, the A Taberna Restaurant is easily accessed by foot or short taxi ride through the pretty city centre.